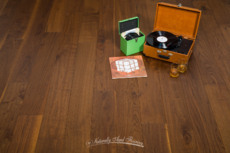 Finding the perfect hardwood flooring is easy with Naturally Aged Flooring's diverse selection. Whether your design scheme is classic, elegant, traditional, country or contemporary, Santa Barbara is a versatile and timeless wood floor which will certainly enhance your decor. 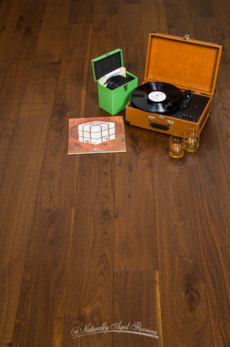 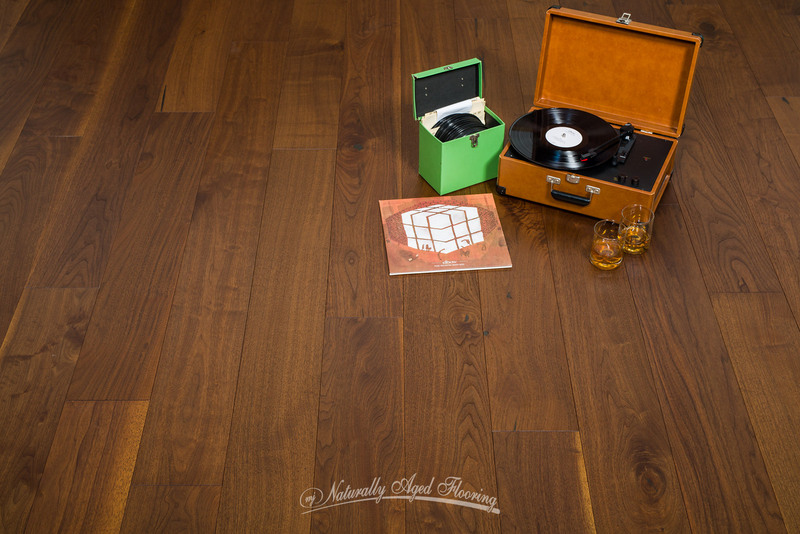 This high-end Medallion collection product is made from Walnut, a beautiful hardwood species that can be enjoyed for a lifetime, thanks in part to our protective UV lacquer top coat. From board-to-board the rich brown, light and dark tone color variations will define any space and add character to any room. 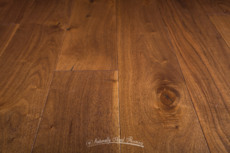 Each plank measures 9/16" x 7 1/2" with 2-6' random lengths and presents an abundance of natural beauty thanks to knots and swirling grain variations, including light golden accents, which together create a truly inviting environment. 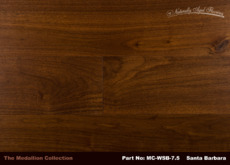 Santa Barbara offers a sophisticated warmth paired with a slightly modern edge thanks to our light wire-brushing process. 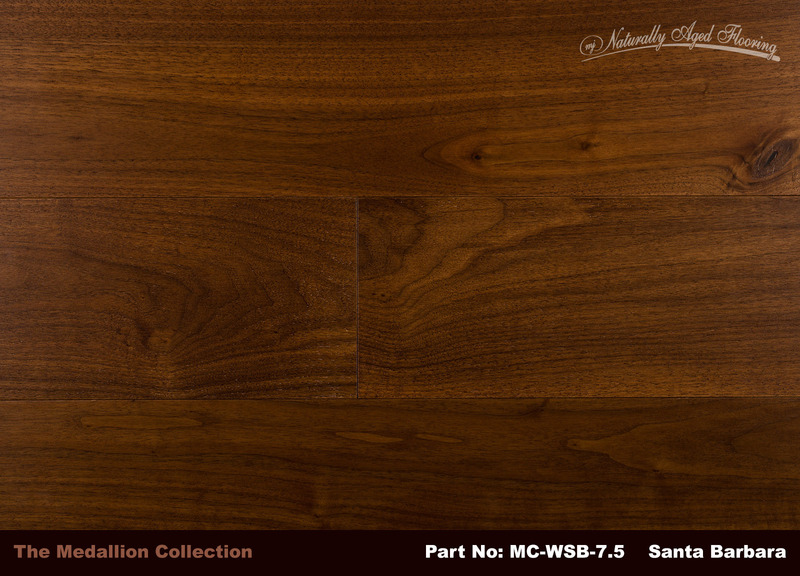 Everyone wants great looking floors with durability, and you'll certainly find both in our elegant engineered hardwood flooring product, Santa Barbara. 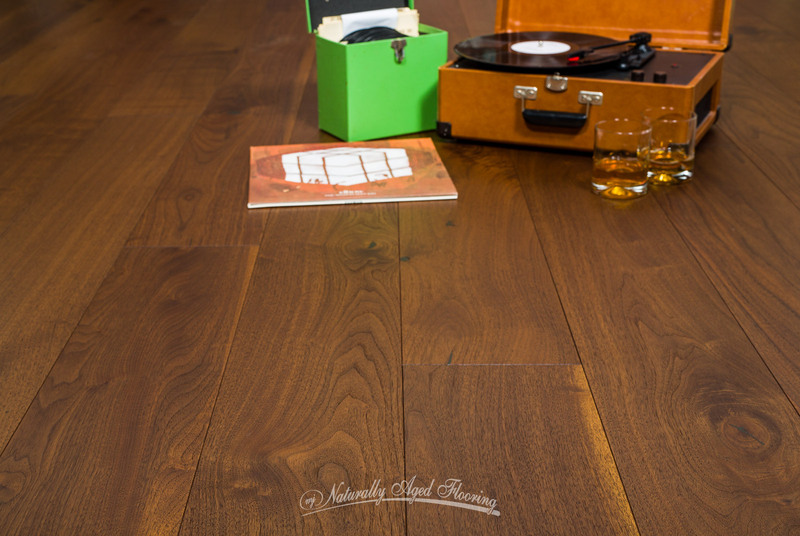 Make a design statement and let Santa Barbara warm your home, complimenting all of its surroundings. 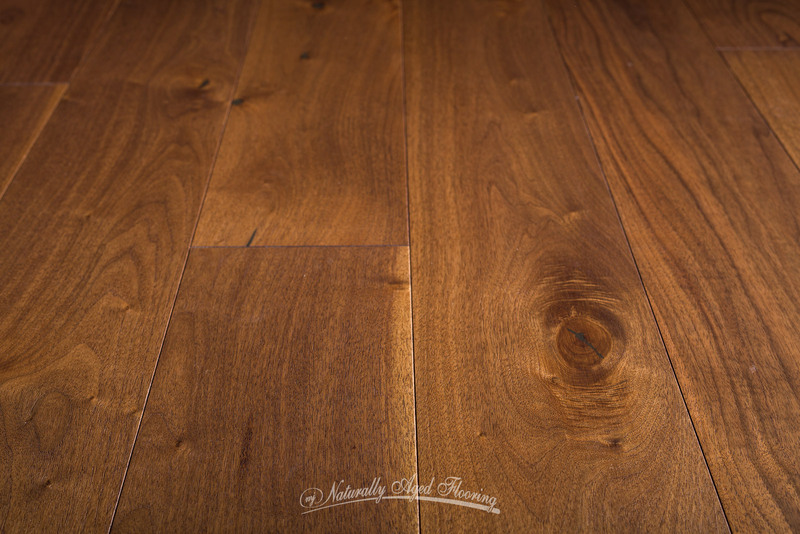 You can't go wrong with this exceedingly stunning hardwood floor.